Hrabanski, Marie, y Le Coq Jean-François. 2018. 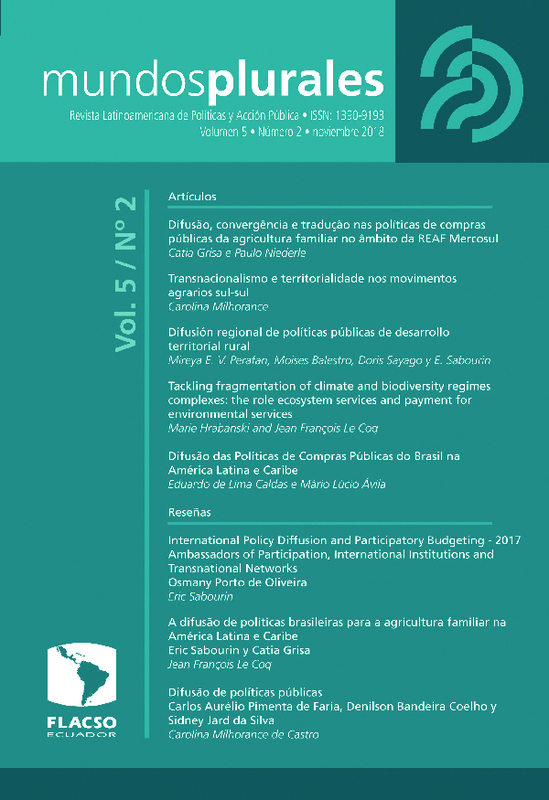 Tackling Fragmentation of Climate and Biodiversity Regimes Complexes: the Role Ecosystem Services and Payment for Environmental Services : The Role Ecosystem Services and Payment for Environmental Services. Mundos Plurales - Revista Latinoamericana De Políticas Y Acción Pública 5 (2). https://doi.org/10.17141/mundosplurales.2.2018.3408.